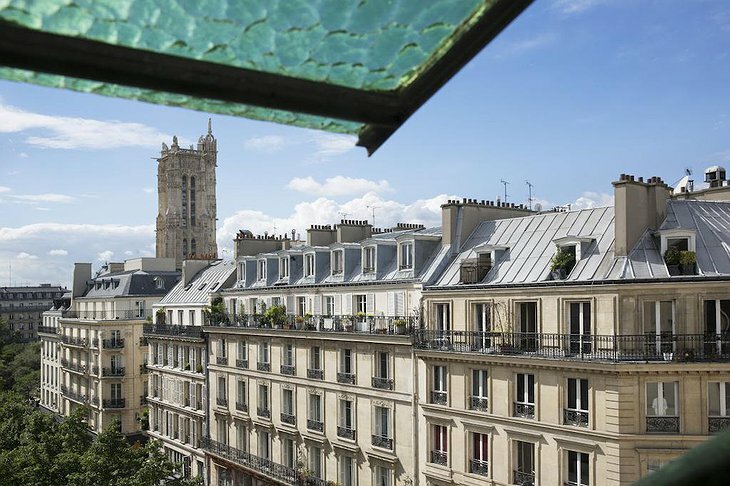 Amid a host of chic, modern boutique hotels, the Hotel Saint-Merry stands as a historical testament to the rich heritage of the Marais quarter in Paris. 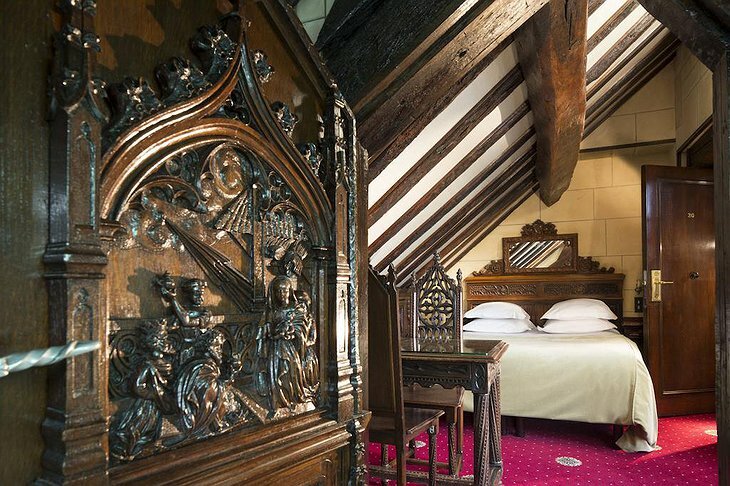 This former presbytery of Saint Merry’s church, or former clergy quarters, was converted into a 12 room hotel that transports you through time to the 17th century when the structure was first built. 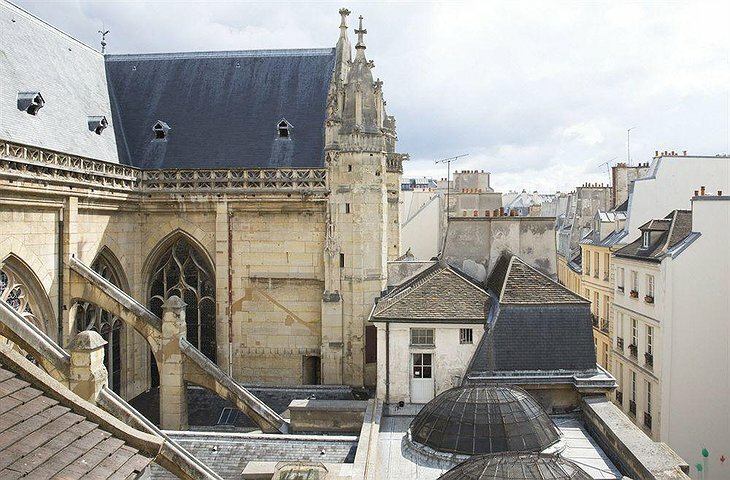 Saint Merry’s was constructed in the traditional Gothic style and was often referred to as the “little sister” of the Notre Dame Cathedral. 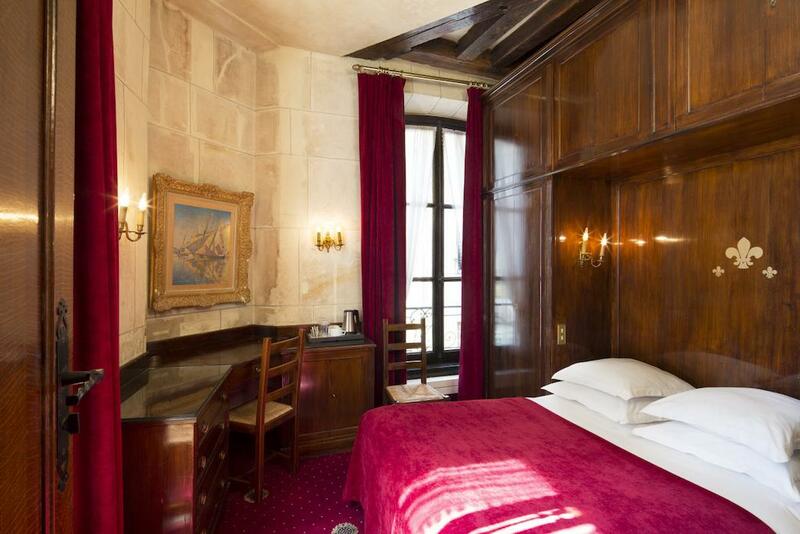 The original design utilized only the finest materials to produce the carved marble stonework and woodwork throughout the hotel. 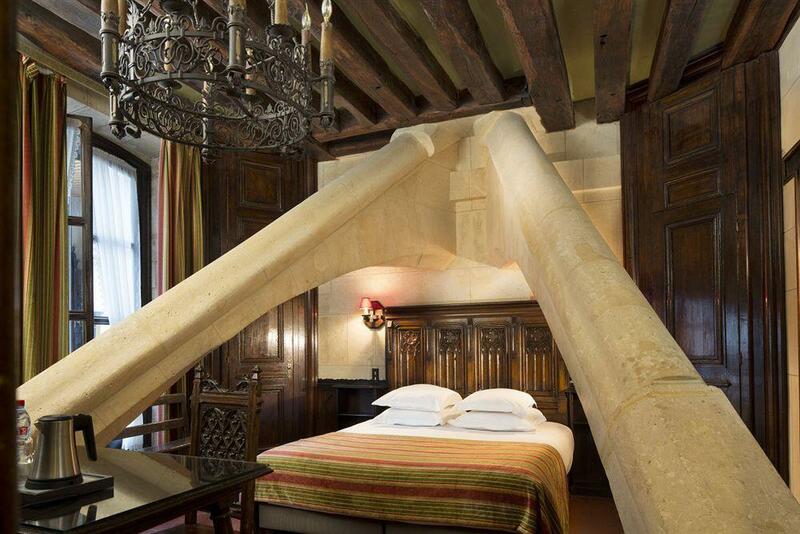 You can even observe the craftsmanship of the buttresses yourself since they intersect each guestroom. 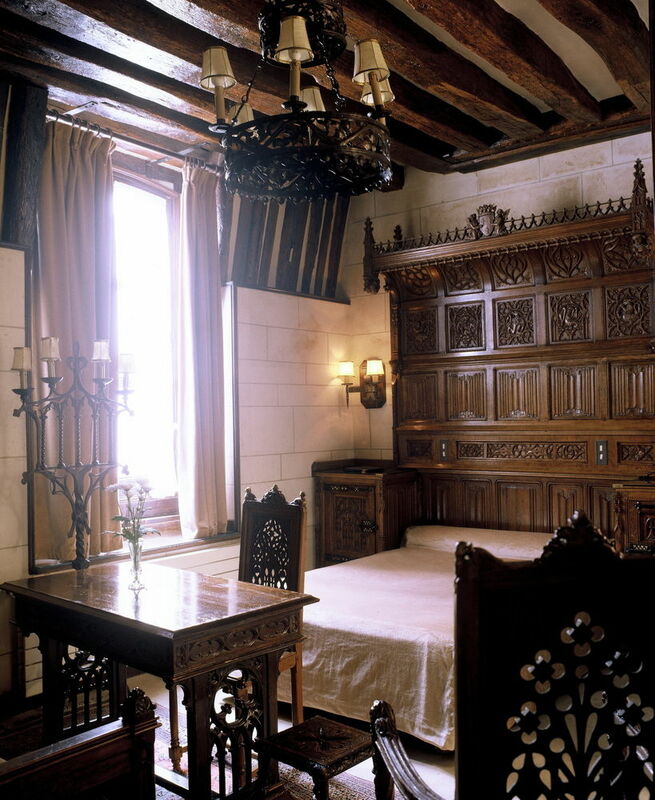 The combination of stone, iron, wood, and medieval furnishings maintain the regal atmosphere of the Gothic era, but each room is still equipped with modern comforts. Hotel Saint Merry offers you comfortable accommodations, all within walking distance of the major attraction in Marais, such as Notre Dame, the City Hall, the Pompidou-Beaubourg Center, the Carnavalet, the Picasso museum, Saint Jacques Tower, Hotel de Ville, and countless restaurants. 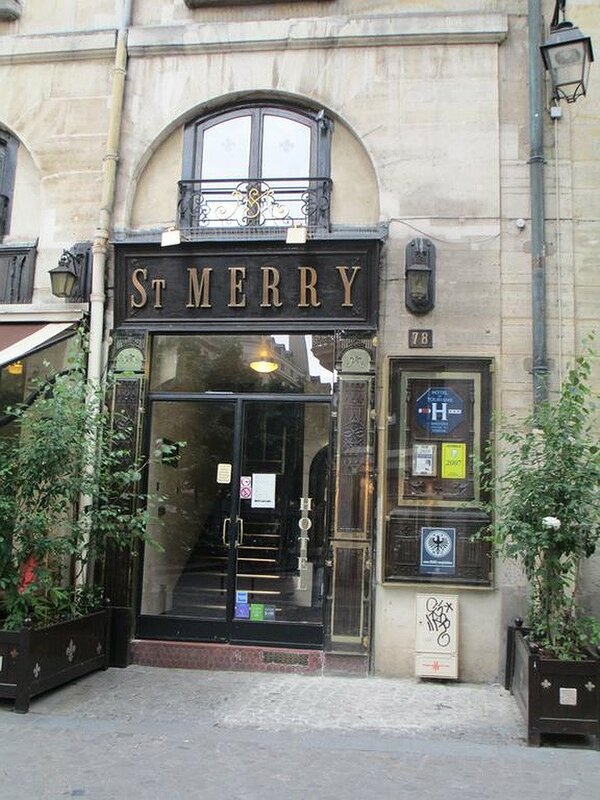 Hotel Saint Merry stands apart from other boutique hotels as a historical hotel that is full of personality. You have to login or register to leave a comment.